Mac fans discouraged by Apple’s current offerings to the pro market will take solace in today’s biggest Mac announcement: the iMac Pro. Encased in a space gray housing, the iMac Pro retains the same form factor as its recent iMac predecessors while offering massive improvements to the spec sheet. 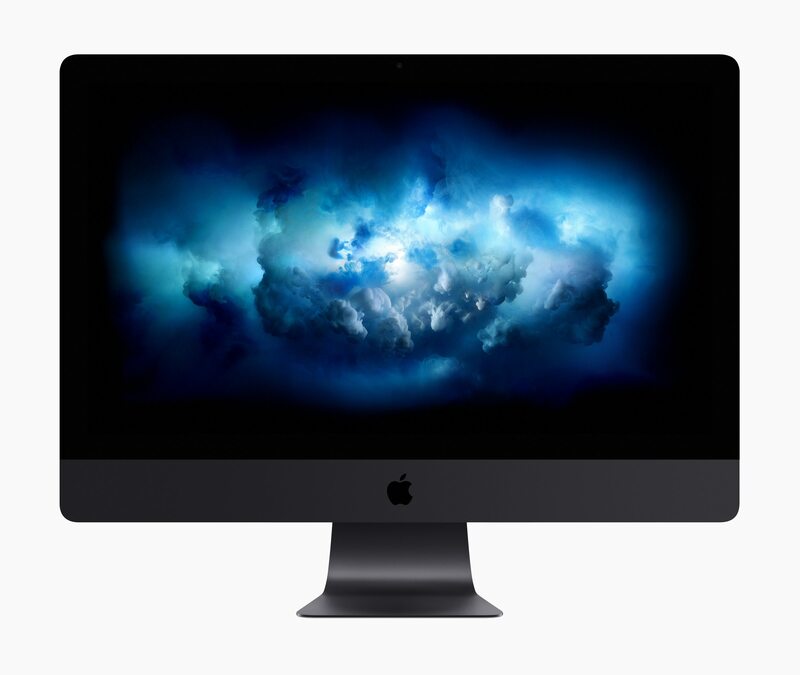 Numbers like 8-, 10-, or 18-core Xeon processors or 11 teraflops of single precision and 22 teraflops of half precision jump out immediately, and RAM up to 128GB and SSDs up to 4TB are sure to draw pro users' attention to the iMac Pro. Further improvements include an enhanced speaker system, a new thermal architecture, and the inclusion of four Thunderbolt 3 ports. 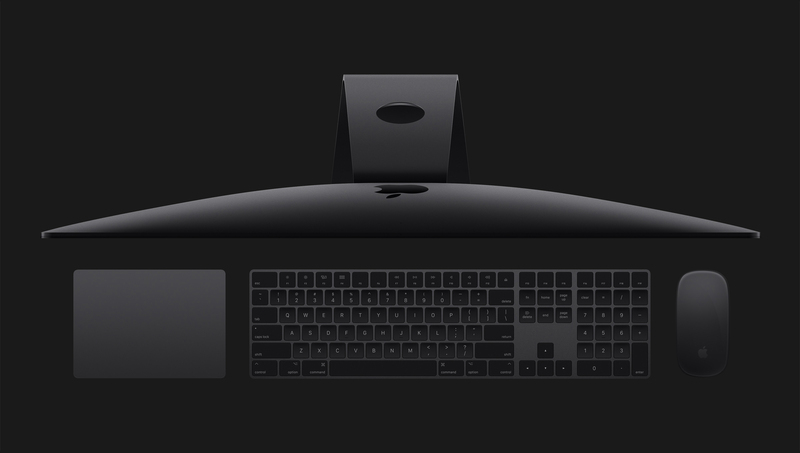 New accessories also debuted alongside the iMac Pro, featuring space gray versions of the Magic Keyboard (now outfitted with a numeric keypad), Magic Trackpad 2, and Magic Mouse 2. The iMac Pro will start at a base price of $4,999, and will rise accordingly based on the configuration of the model. According to Apple, we can expect to see the iMac Pro go on sale in December. Kaby Lake was the chip of the day for Apple, appearing in the latest versions of the iMac, MacBook, and MacBook Pro. With processor speeds up to 4.2 GHz, 1.3 GHz, and 3.5 GHz, all three Mac models received considerable speed bumps through the new processors. 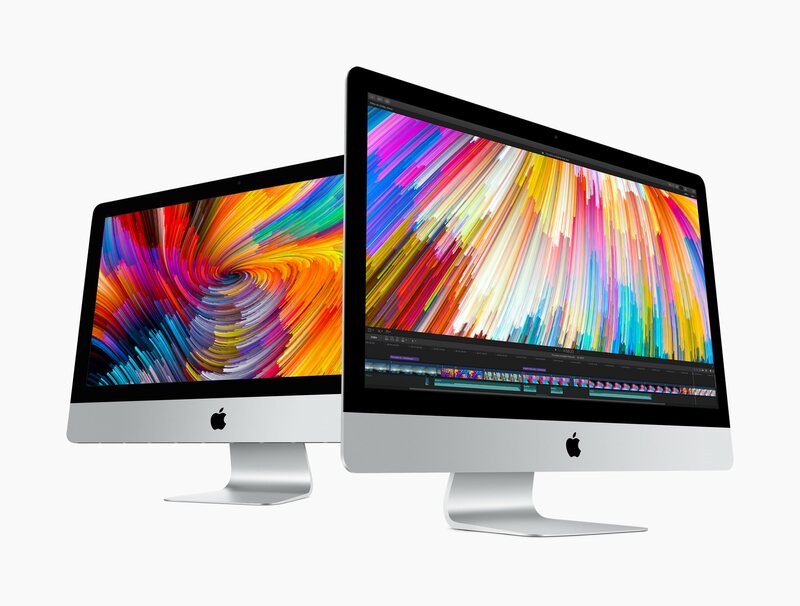 On the iMac side, the refresh also came with more powerful graphics from a Radeon Pro 500-Series chip and up to 8 GB of vRAM. With faster SSDs also coming to the iMac and MacBook and a screen upgrade to 500 nits and 1 billion colors for the iMac, the Mac hardware changes were considerable despite the lack of any external redesigns. Finally, both the iMac and MacBook Pro saw entry-level price drops to $1,299 for the 4K iMac and 13-inch MacBook Pro without Touch Bar. The most exciting announcement regarding the iMac and MacBook Pro variations, at least to me, is the price drop, allowing consumers better access to more power. With discounts coming seasonally at retailers, these computers will become good pickups for college students in the fall. Continuing its ever-so-slow death, the MacBook Air today received a minor upgrade to a 1.8 GHz processor, an update very few people likely asked for and one that doesn’t make much sense in the grand scheme of Apple’s Mac product line. However, those who will purchase the MacBook Air may, I suppose, appreciate the bump. I can't say that I expected this kind of day for the Mac, but the improvements shown at the keynote display Apple's commitment to the Mac platform despite the aging Mac Pro. In fact, Apple seems to be pushing the Mac lines to new heights, offering models that can reach both the average consumer and the professional who desires a powerful workstation. By making moves in the VR space and laying out the landscape for the future of the Mac, Apple's announcements today checked all the right boxes.